To keep up in today's rapidly evolving wireless communications market, you need tools that enable you to efficiently maintain legacy networks in addition to the new 3G and 4G networks now being installed. And with rate of market expansion, you're being required to service more base stations than ever before. This means completing sweeps quickly, performing calibrations instantly, and implementing fast trace naming while in the field. 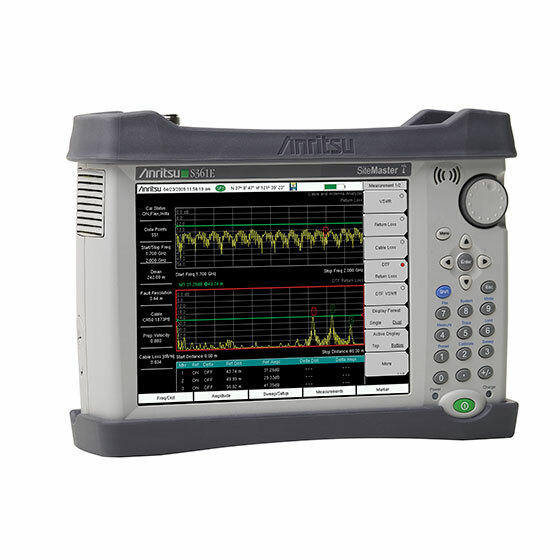 The S361E Site Master does all this while delivering the ease of use, rich functionality, and best-in-class price/performance you've come to expect from Anritsu. Designed to handle the most punishing field conditions, the S361E Site Master Cable and Antenna Analyzer dramatically enhances your productivity and transforms the traditional fix-after-failure maintenance model to one that identifies and fixes problems before major failures occur. 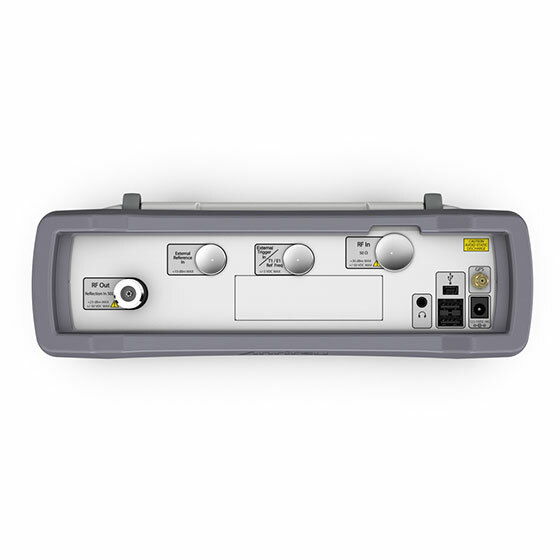 The CPRI/OBSAI RF option allows users to see the Uplink and Downlink signals via the optical CPRI/OBSAI link in a traditional RF Spectrum and Spectrogram view. Coverage Mapping with GPS using Anritsu's E-Series Spectrum Master, Site Master and Cell Master allows you to superimpose RSSI measurements directly on top of a map. The data collected can then be moved out as an image or raw data file. PC based post-processing tool, efficiently manipulates line sweep traces for quick reporting. 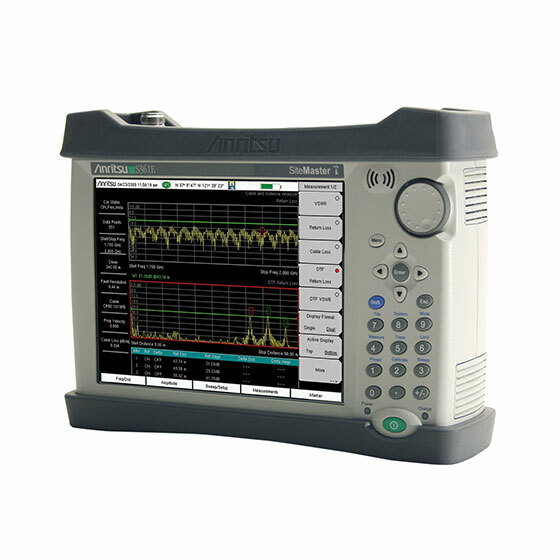 Create work instruction files on a PC, deliver files by e-mail, display on a spectrum analyzer.